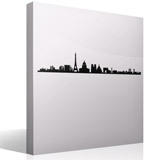 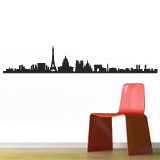 Wall sticker Paris Skyline. 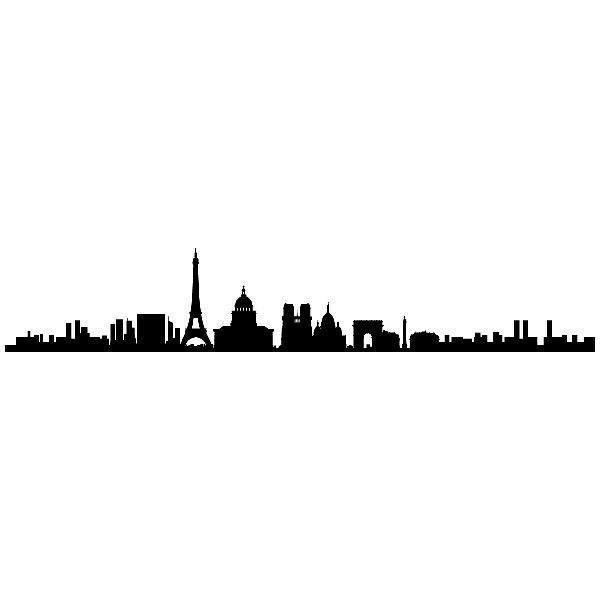 Panoramic silhouette skyline of the most representative buildings in the city of Paris, France. 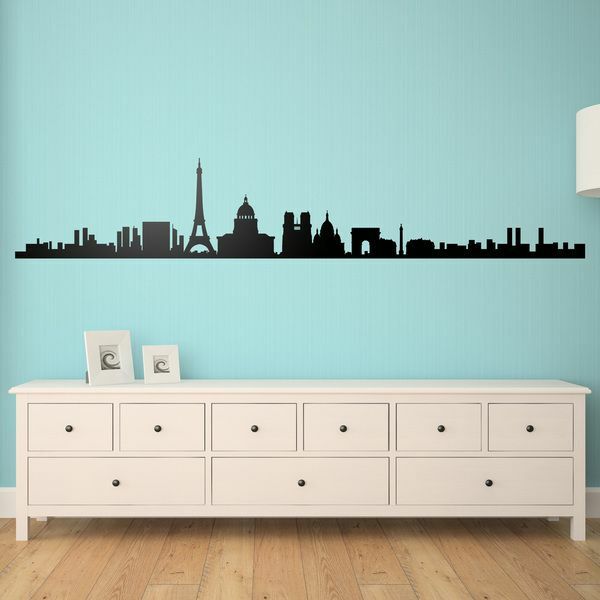 Design currently used in modern decoration of both private homes and companies and other businesses. Size: 49 x 7 cm.